1. From inside the item, select the current workflow status. 2. 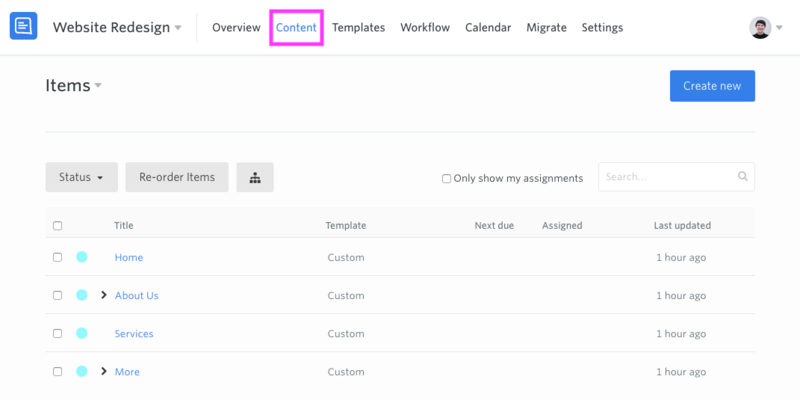 Select the set due date for the workflow status that you want to remove. 3. 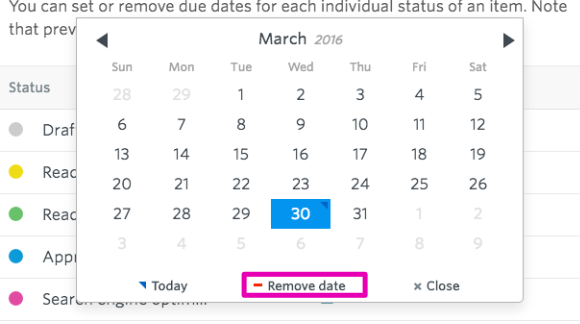 Click the Settings menu (three dots) when the calendar appears and select 'Remove due date'. 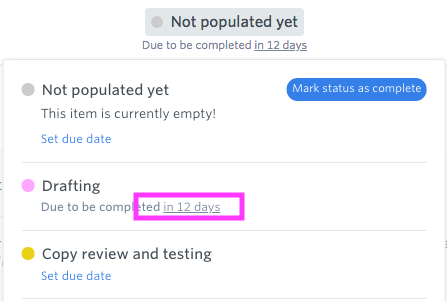 This will immediately remove the due date for that workflow status. Users will not be notified of this update. 1. Go to the Content tab. 2. 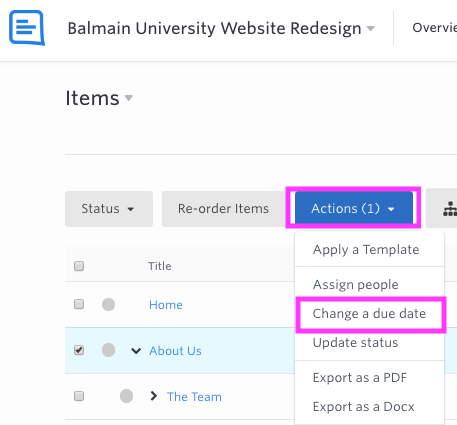 Select the items using the checkboxes at the side, click the actions drop-down button that has appeared, and then select 'Change a due date'. 3. 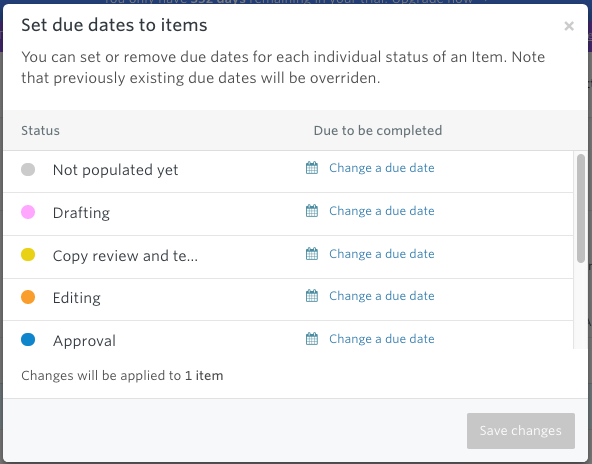 Select 'Change a due date' on the workflow status you want to remove the due date for. 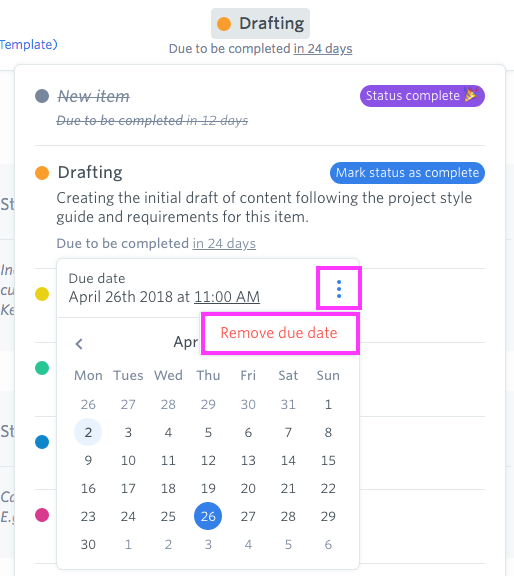 This will immediately remove the due date for this workflow stage for all of the selected items. Users will not be notified of this update.